Nigel Rigby on Captain James Cook RN – Britain’s greatest mariner explorer, navigator, cartographer. Nigel works for the National Maritime Museum, which holds world-class collections of Cook-related material. The Museum has staged Cook exhibitions and galleries since it first opened in 1937, and it is currently developing a new gallery which is due to open in 2018, on the anniversary of Cook’s departure from Deptford. Nigel’s talk will look at how the Museum’s displays of Cook have changed over the years and how they are planning to use him in the new gallery. The Cruising Association Kent Section Winter Warmers are held at The Dog & Bear Hotel, The Square, Lenham, ME17 2PG. Situated 8 miles east of Maidstone, just off the A20 in the village square. All are welcome. There is a small charge of £3. Many eat beforehand and it helps speed up service if you telephone the pub on 01622 858219 and order your meal before 5pm. Reluctantly, because of health and professional pressures, John Gore has decided to resign from the position of Chairman of the MSBA. All the members would like to thank John for his wisdom and good service to the Association. On John’s recommendation, Brian Corbett will be acting as Chairman, and Tony Lavelle will be acting as Vice Chairman, subject to ratification at the next AGM. Gavin Parson, again due to professional pressures would like to pass on the mantle of MSBA secretary. Although we have been asking for volunteers at the last two members’ business meetings, we would also welcome and consider the offer of administrative support, including minute taking at the monthly meetings, on a fee paid basis. 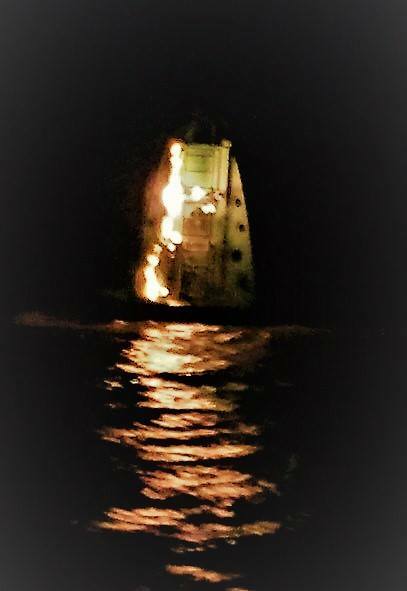 Early yesterday morning the Sheerness lifeboat was called to a report of a burning vessel in the Prince’s Channel. On arrival they saw that it was the Princes No 5 buoy in flames, some 7 miles north of Herne Bay. In separate incidents today, police and rescue services have recovered two bodies from the river. This morning a body was recovered near the M2 bridge, believed to be the man who jumped from the bridge on 22 January. This afternoon another body was recovered at Strood near Rochester bridge. 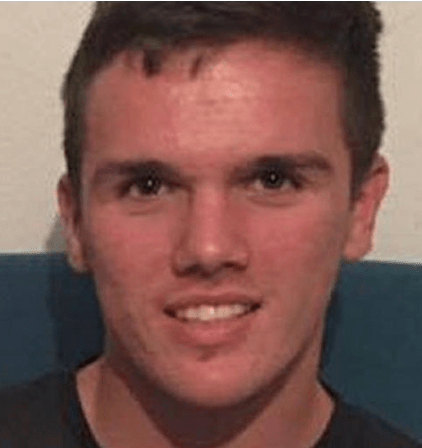 The family of Ben Savage (pictured), who went missing on 6 December, have been informed. Medway Yacht Club has offered their Day Skipper Theory Course for £330 with Training Membership for the duration of the course and up to 6 visits afterwards. The course runs from 25 February to the exam on 11 March. There are only a few places left so get in touch with MYC now.